This is a great hunt in Wyoming with 100% draw odds! Success rates for archery are 60% and rifle is 90+%. The average bull taken on this Wyoming elk hunt is 260″+ with the chance at a real monster. Wyoming hunting license is OTC. 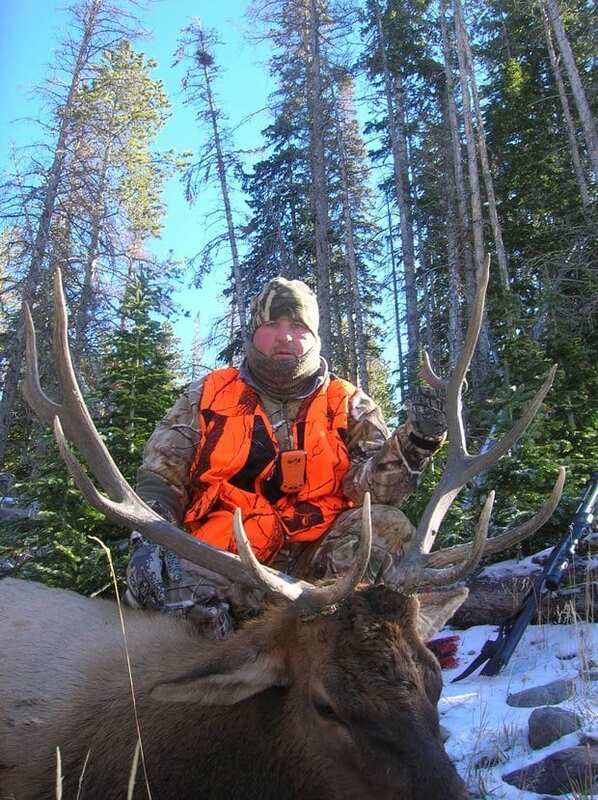 This Wyoming outfitter offers both rifle and archery elk hunts. Wyoming elk hunting on private ranches totaling nearly 1 million acres. This outfitter offers Wyoming elk hunting on a vast array of different areas, from low country, to steep mountainous terrain. What is great about this elk hunt is that these ranches fall into the general elk tag pool, which are a 100% draw for non-residents. The properties are so large that the outfitter is able to provide mature animals. You’ll be hunting from a beautiful lodge. You will be hunting out of a beautiful hunting lodge with friendly, professional and organized staff. This 8,000 square foot lodge sits in the middle of 100 square miles of wilderness, two hours from Salt Lake,and is surrounded by trees, streams and fishing ponds. Amenities include 11 bedrooms, 8 bathrooms, and 3 great rooms and many other accouterments.